Use of Stream make I/O machine independent. 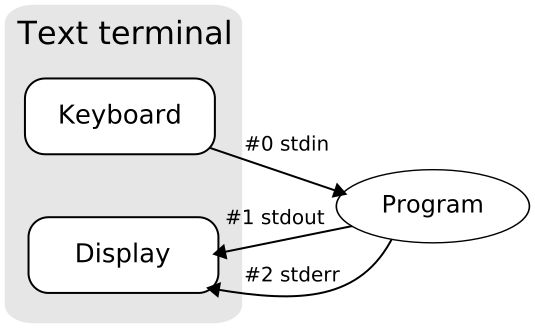 Keyboard is standard input device . Standard input is data (Often Text) going into a program. The program requests data transfers by use of the read operation. Not all programs require input. Screen(Monitor) is standard output device . Standard output is data (Often Text) going out from a program. The program sends data to output device by using write operation.